WAKEENEY- An autopsy was conducted on an inmate who died on Sunday at the Trego County Jail in WaKeeney. Paul Darrell Mondary, 43, died of a heart attack, according to Sheriff Richard Hanks. Mondary was being housed in Trego County on Ellis County charges. WAKEENEY- The Kansas Bureau is investigating the death of an inmate. Paul Darrell Mondary, 43, died in the Trego County Jail on Sunday, according to a media release from the Trego County Sheriff. More information will be released following autopsy results. WAKEENEY -An investigation is underway following the death of an inmate at the Trego County Jail in WaKeeney. 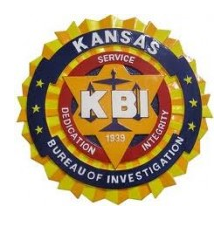 The name of the inmate and details of the death have not been released by the Kansas Bureau of Investigation. Trego County Sheriff’s office is referring all calls about the incident to the KBI.